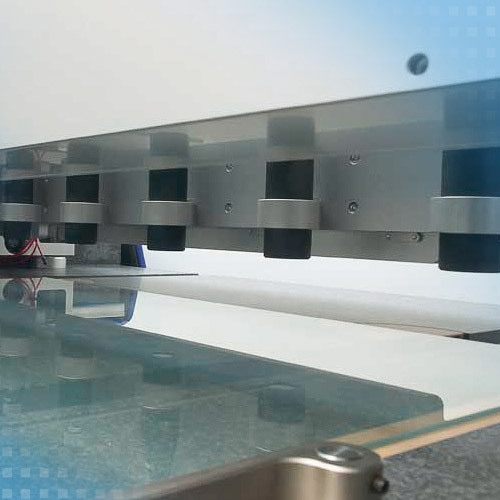 For the production of display glass, glass sheets with consistent thickness are required. The production process is regulated based on the measured results. Confocal chromatic sensors from Micro-Epsilon are used to detect the thickness from one side. Due to their high measuring rate, the sensors are also applied in high speed processes. When the sensors operate in a traversing manner or in several tracks, the planarity of complete sheets can be documented.